to quickly create and widely deliver AR content that transforms operations, facilitates knowledge transfer and improves profitability. Vuforia Studio’s drag and drop interface makes it easy for content creators and Subject Matter Experts (SMEs) with no prior coding knowledge to get up and running quickly. Built for enterprise integration, scale and security, Vuforia Studio leverages existing 3D data, animated sequences and IoT data to help reduce development cost and complexity. Experiences authored in Vuforia Studio can be deployed to the cloud or on-premise and accessed from smart phones, tablets or wearable devices via a single universal viewer application – Vuforia View. Developing and scaling enterprise-ready industrial AR experiences that simplify and improve service, manufacturing, sales and marketing has never been faster or easier. 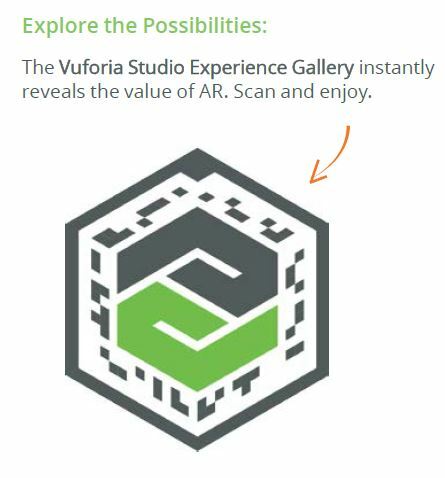 Join the Vuforia Studio Free Trial and see for yourself how easy it is to build AR experiences for your industrial use cases. © 2018, PTC Inc. All rights reserved. Information described herein is furnished for informational use only, is subject to change without notice, and should not be taken as a guarantee, commitment, condition or offer by PTC. PTC, the PTC logo and all other PTC product names and logos are trademarks or registered trademarks of PTC and/or its subsidiaries in the United States and other countries. All other product or company names are property of their respective owners.